We’re all being bombarded by Black Friday deals, it’s that time of year. But here’s one I think New Yorkers will find rewarding. 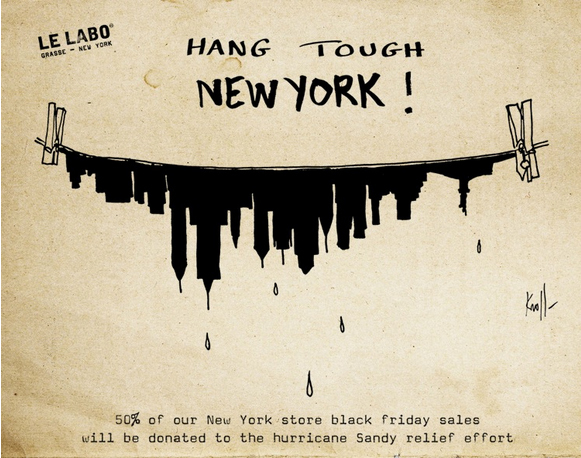 This entry was posted in News and tagged Black Friday, Hurricane Sandy, Le Labo, men's cologne, Men's Fragrances. Bookmark the permalink.